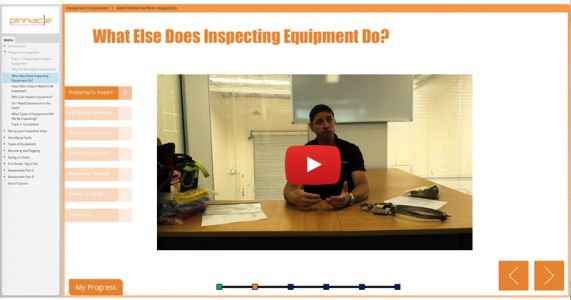 Pinnacle are proud to announce the launch of our new Height Safety Equipment Inspection online program! This program is nationally recognised and maps against the MEM15004B Perform inspection unit of competency. The program itself is suitable for anyone who is required to inspect and maintain height safety equipment as part of their duties, and covers a wide range of height safety equipment. The program itself is highly video-based to make it feel like you’re right there with our expert instructor, Rob. Click here to find out more about the program and start today.